Stay up-to-date with our family as we joyfully walk the road into foreign missions. Our monthly newsletter is a great way to keep informed on the work we are doing and see the latest craziness of our family. Click on the picture to see the full letter. You can also subscribe to receive the newsletter through the CONTACT tab. 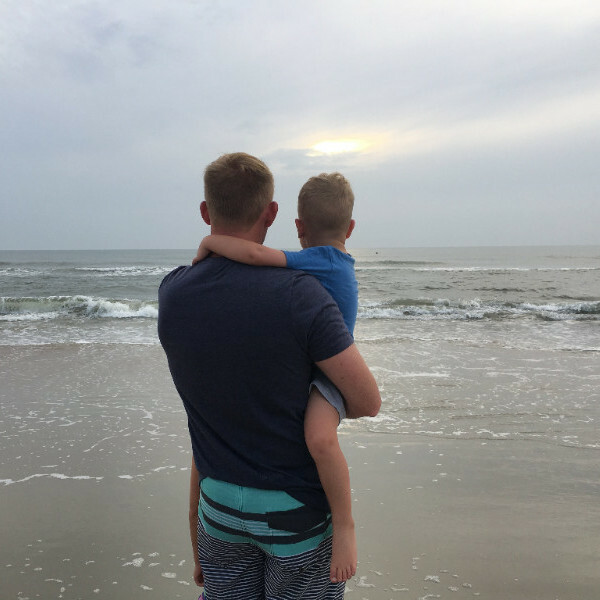 Sign up with your email address to receive the latest news from the Minnick family. Thank you for following our family and being apart of the work God is doing here in Costa Rica! July was definitely a different, but fun month for us! The schools have their "winter" break and therefore the centers are closed during this time. 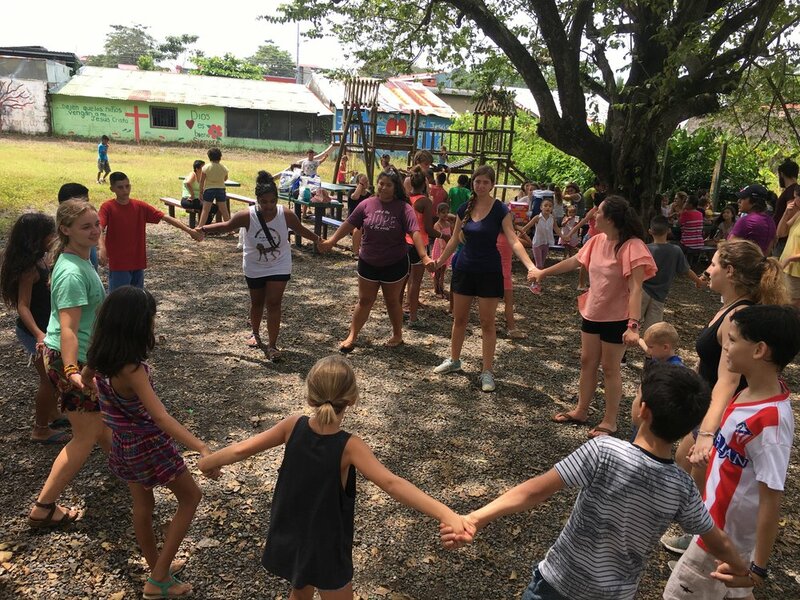 So we started off the month by spending the first 3 weeks in a small town called Tuis, where we studied Spanish at Christian Immersion Spanish Academy (CISA). I feel like I say this every month, but wow June went by fast. If I'm being honest, I was dreading June for many reasons. With it came the end of our string of visitors, that's been happening since mid April. And also it meant saying goodbye to a dear friend. This past month has brought some challenges and difficulties to our life here. In perspective to some of the realities we see each week, we can't say we are suffering but it has definitely opened our eyes to the struggles of living overseas and away from our support system. The centers are growing, there are many needs to be met, Brandon is in seminary and a lot of times the kids get our leftovers. I honestly feel like we just blinked and April is already over. It is crazy how fast this season is going. 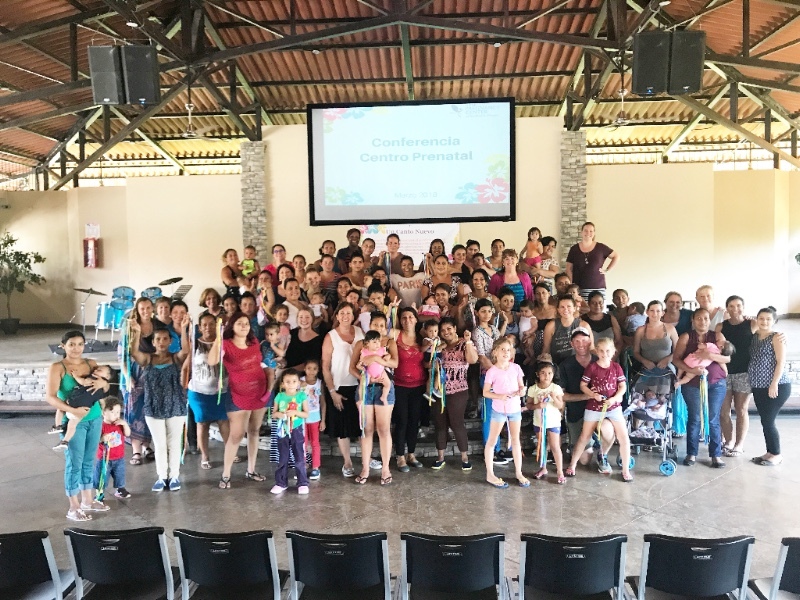 Pregnancy Center ministry is growing and the needs are rising. We are working on getting more counselors/volunteers trained and into the Jaco center as soon as possible. We have at least 14 girls on the waiting list! March madness on the mission field was crazy busy AND exciting. We had a little taste of everything this month, organizing all of our donations that we brought back from the states, cleaning up at the Tarcoles center, holding lots of babies, hosting our first team and everything that goes along with it including unpacking 16 bags of supplies, Bibles and vitamins...all for the centers! While we were in the states for most of the month, the centers were still active and our job took on a different role. 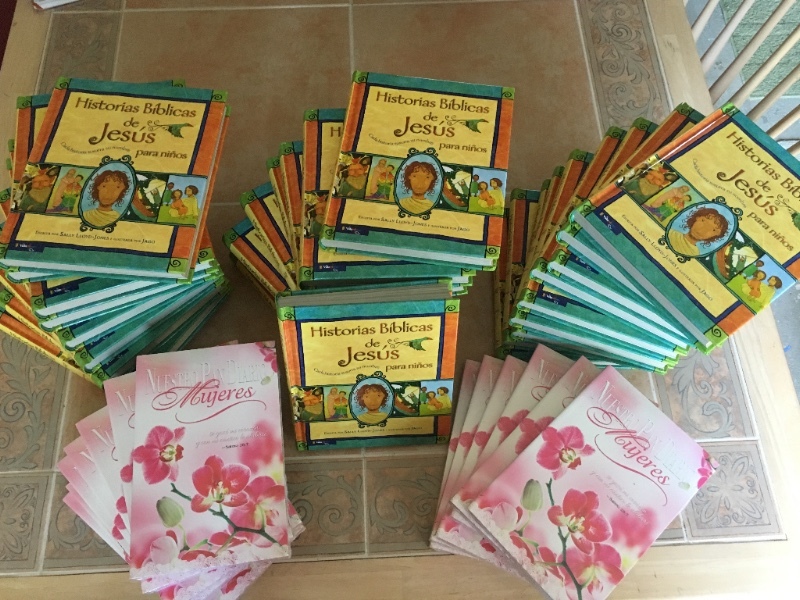 We were on a mission to collect as many baby supplies as possible, as well as bringing back Jesus Storybook Bibles and Devotionals for our mamas and babies. How is January already over? At times it has felt like it would never end, but somewhere all of the sudden things started getting crazy! The centers finally started opening up in the middle of the month and we have been busy ever since. This past year has been one of struggles and growth, ups and downs, sad goodbye's and warm hello's. We are excited about what God will be doing in 2018 and thank you so much for your love and support of our family. We pray that God will bless you and your family this coming year with more of himself. Our mission related life is ever-changing. We should clarify that no two weeks are the same. Our role is different each day. 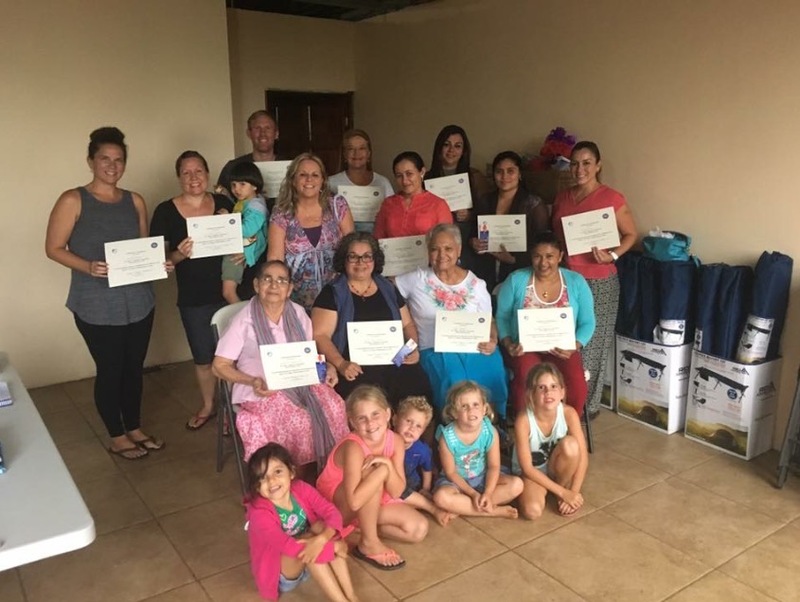 This past month we helped organize the Tarcoles Center, delivered some more supplies that were donated to the Playa Azul families, and made the drive up to the Upala Center. We started October off celebrating my birthday and we ended it celebrating Brandon's. It was strange to celebrate away from our family and friends, but we both ended up having great days. While it was different, it was just another thing we are adjusting to. Our first year away from what we've always known is hard, but that doesn't mean it's not good. This month has been one for the books. It was the most bittersweet, busy, hectic, overwhelming month yet. Our God has shown up daily for us and continues to do so. I can confidently say, we would not have survived this month and quite possibly would be dying to go back to the states if it weren’t for God. The last month state side is really hitting us emotionally and physically. Luckily for us, at the beginning of the month we got to move the “house” out to Fort Wilderness. 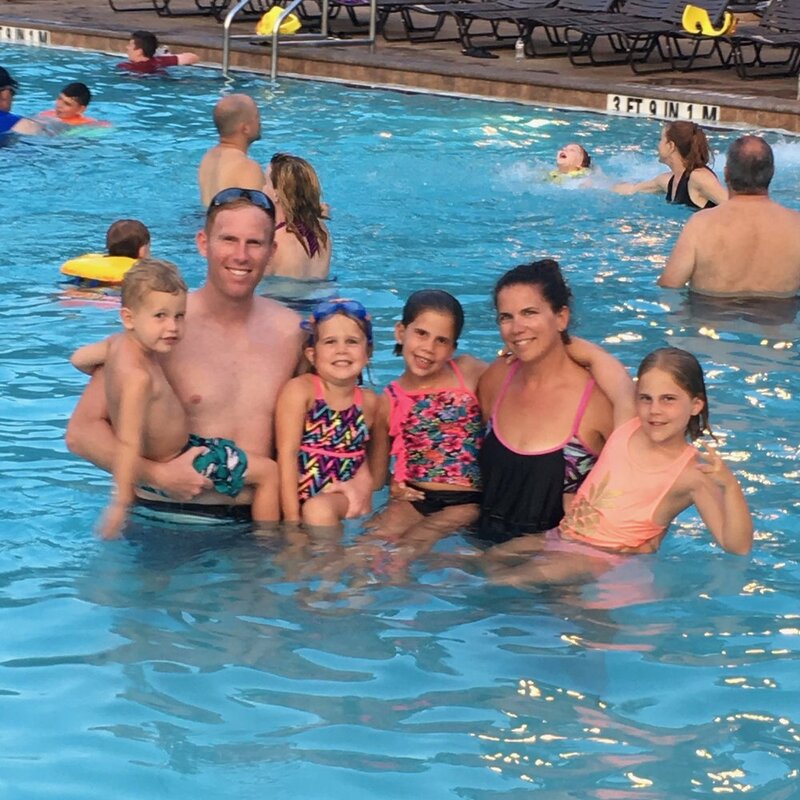 It was a fun week, filled with lots of pool time. The kids had a blast and it was a great way to celebrate the end of the camper era. The rest of the month would be an emotional rollercoaster, so we are super thankful for this time to relax and recharge heading into our big move. The month of July has been filled with many different activities both for enjoyment and necessity. We spent a handful of days shuffling everyone through doctor and dentist visits in preparation for the move. The kids were able to do a local VBS and Jennifer and I were able to go and do some things with friends like swim across a lake (Lucky's Lake Swim), spend the day at the beach and have dinner with a few different couples. 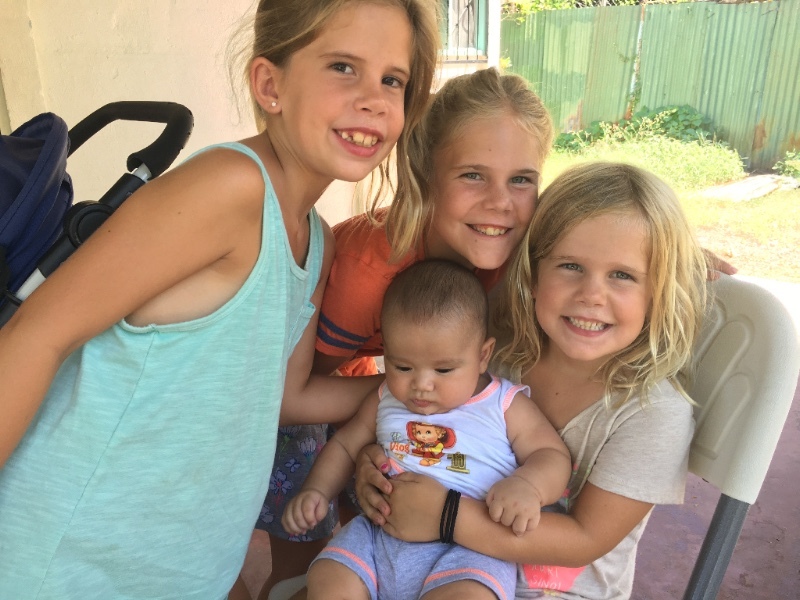 Relationships are what we will miss the most as we relocate to Costa Rica. Ironically it is these supportive relationships that have encouraged us to pursue faithfully the call God has placed on our hearts. The June trip to Costa Rica was again successful but different than the other ones so far. 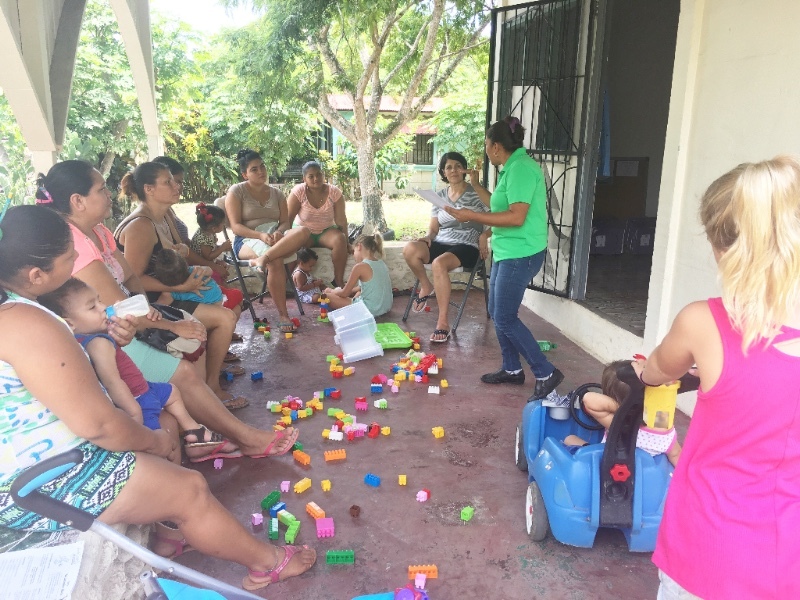 One of my closest friends was able to join me on my trip and was able to see first hand the work God is doing through the ministry of Centro Prenatal. The month was also filled with family adventures and stage performances. At the beginning of May, the Beautiful Feet International board named Jennifer and I the official country directors of Centro Prenatal Costa Rica. We are so excited about serving in this role and can't wait till we are in the country full time and serving hand in hand with our amazing volunteers. At the beginning of each month, the financial obligations to keep the pregnancy centers up and running must be handled. As country directors, this will be one of our primary responsibilities once we are in country full-time and also requires us to take monthly trips to handle the bills and supplies that needed to keep the ministry up and running. The month of March was crazy packed with stuff for our family and it began with another training trip to Costa Rica for Jenn and I. This trip we had the privilege of riding around with Kathleen's husband Kris, who we have now come to know as one of the funniest people we have ever met. It was another fast paced trip. The road to Costa Rica is bumpy. I am not just talking about the actual roads in Costa Rica which are rough but the journey we are on to move our family from here to there. The stresses and pressures of it all can be overwhelming at times. While we are so thankful for this opportunity, the added stress has had a tendency to blind us from some important priorities.....like our MARRIAGE! With the coming of the New Year, the realization of what lies ahead is beginning to set in. Towards the end of last year we began to feel trapped in a holding pattern it seemed. Don't get me wrong, we were able to solidify some important things and get clarity on our time of relocation but the best way I could describe it is that we were getting stir-crazy! The road to our move has many obstacles that need to be overcome but the timing seemed too far out. Now that we are in the same calendar year as our goal moving date, we feel free to begin taking the big steps needed to get the ball rolling. 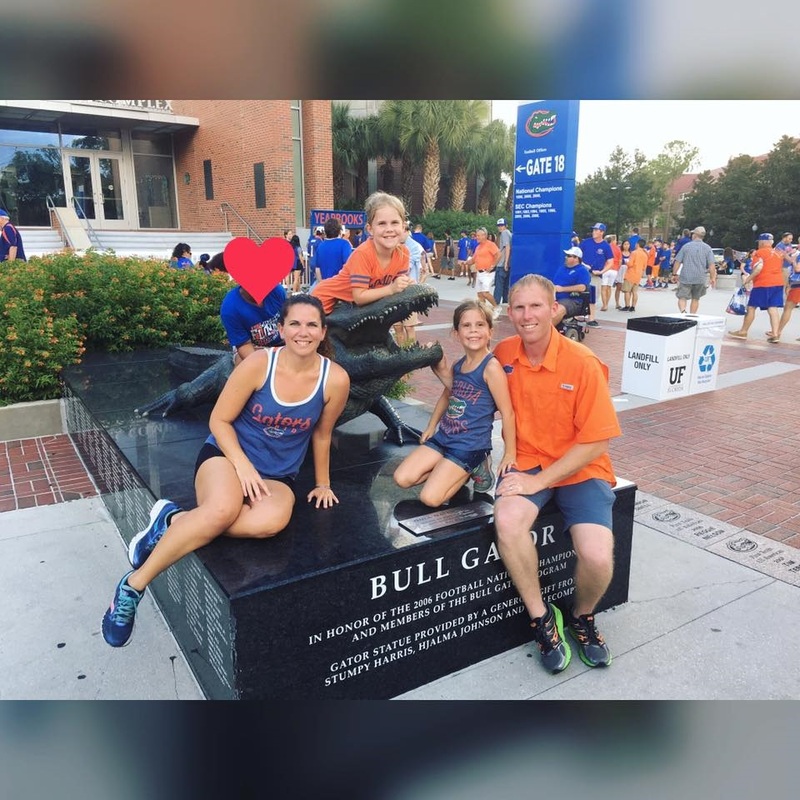 This has definitely been a year to remember for the Minnick family. Coming into 2016, we had felt God's call on our hearts to step out of our comfort zones and pursue His call for our lives no matter what...little did we know then that we would be swept up into His story of hope and redemption for the women and families in Costa Rica. As most of you know, we really had no idea what we were being pulled towards and now looking back over the months of 2016 we can see God's mighty hand moving in ways that strengthen our faith and make us joyful for the days to come. The month of November was a breath of fresh air...literally, the air outside was so refreshing. I love this time of year and all the great memories it brings to mind. 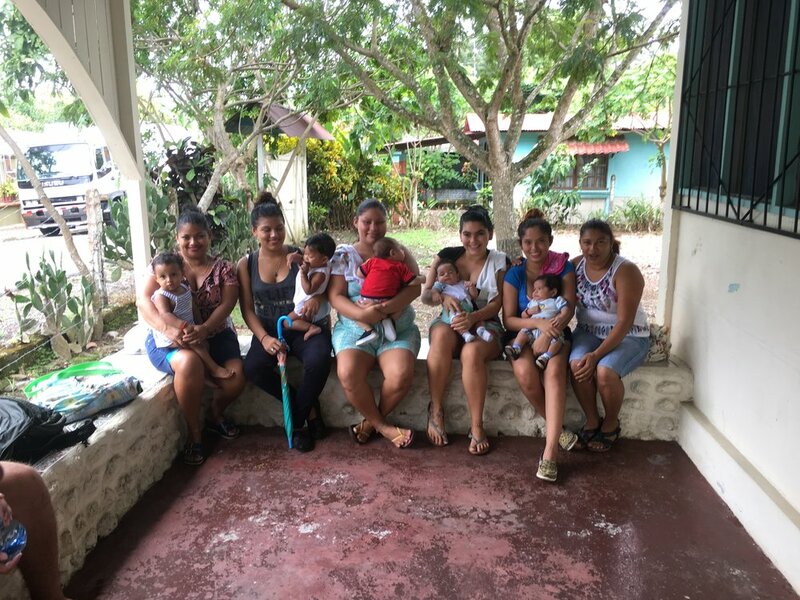 Beyond just the weather, we were completely refreshed regarding our move into foreign missions, when we took the trip to Costa Rica early this month. This past month has been a roller-coaster of sorts for our family. As mentioned in the last newsletter, we have been hosting an 8 year old girl since Labor Day with the plan of reunifying her with her family on October 3rd. The week before that date we were told that the mother was requesting more time before reunification and we were asked if we could continue hosting until October 22nd. Although we felt like we were running on fumes, we agreed to the extension. The next couple weeks challenged us, but in the hard moments God would always faithfully show up through a song, or a fun moment, or a smile, or a friend stepping in to help. You can thank us later for getting the song stuck in your head. This past month we made our big announcement and are trying to get all of our ducks in row for starting our official fundraising. We cannot thank those that have already given enough. It is very humbling to ask people to support us financially, and we are blown away by what we’ve already been able to raise just by announcing on social media. Some of our funds came from close friends and some from strangers. CRAZY! 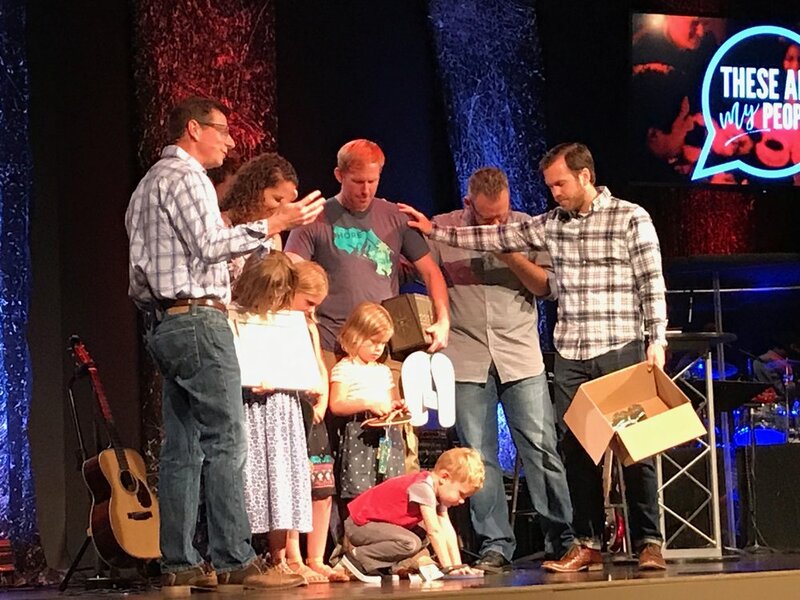 Thank you for taking part in our story and helping join in what God is doing in Costa Rica.